States, Puerto Rico and the District of Columbia are now actively engaged in utilizing more than $2.9 billion as result of a settlement with Volkswagen (VW) for violation of the Clean Air Act to reduce nitrogen oxide (NOx) emissions. Clearly communicating how these funds will be used is an important step that states are actively engaged in. (Editor's Note: This article has been updated from its original post on November 13, 2017). 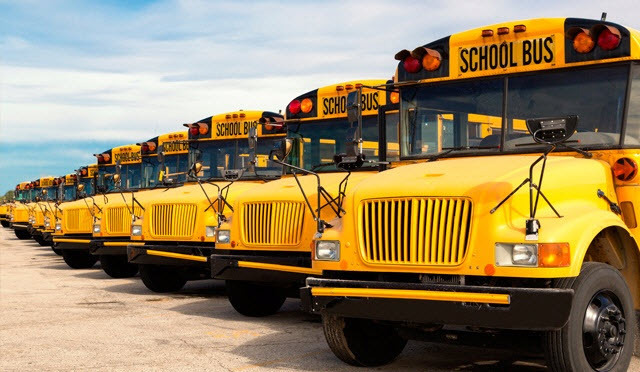 The purpose of the VW settlement funds is to support projects that reduce NOx emissions by undertaking actions such as replacing school buses, older trucks, ferries, moving to electric options, and cargo handling apparatus with new, more efficient equipment. Each state beneficiary is required to create a mitigation plan that describes how settlement funds will be utilized in key areas. These plans must be published and made available to the public for feedback. 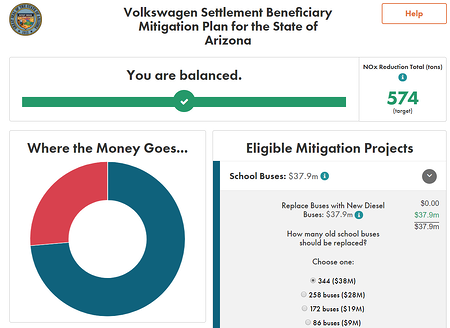 For example, the State of Arizona has made available an innovative budget simulation to the public on the State of Arizona’s VW Settlement website. Due to the broad public interest that VW settlement funds have received, the large amount of money involved, the important environmental issues at stake and the considerable number of interested residents and organizations, leadership in many states have placed a high value on providing the public with the opportunity to learn and provide input. Here are the reported asset statement and investments from the Volkswagen Diesel Emissions Environmental Mitigation Trust allocated to state beneficiaries, Puerto Rico, and the District of Columbia for the reporting period ending December 31, 2017 (amounts are in thousands). The amounts are listed in descending order from largest to smallest. The full report can be accessed here. For more information on VW settlement funds and approved mitigation activities go the VW Clearinghouse. You can also visit Atlas EV Hub, which provides stakeholders from across the electric vehicle industry quick access to key data and information on the market, policies and regulations, and activities by the EV community. Data visualization tools are modernizing stakeholder engagement in more impactful ways. Rather than static data presentations, budget simulation tools, like Balancing Act, offer users the ability to see and engage in budget decisions that program managers are faced with and the public cannot see. It brings public service and public interest in closer alignment. eCivis and Balancing Act are working on multiple applications of this promising data visualization and budgeting platform to improve priority planning, engagement and reporting. If you are your state's designated contact for VW settlement funds, schedule a call to learn more about how to automate the public engagement and reporting requirements of your settlement funds. Email info@ecivis.com and include VW support in the subject line.